Seemorerocks: Lee Stranahan talks about the Mueller indictment, Guccifer 2.0 etc. Lee Stranahan talks about the Mueller indictment, Guccifer 2.0 etc. Lee Stranahan is someone I’ve come to know about in the last few days through his work from Helsinki and on the Browder affair. I find him far too prolific with livestreams etc. my self, but will bring what I can. What he is saying right now is invaluable to understanding what is going on in Washington and beyond. I was even more surprised to find that I was discussed in Mueller's indictment. 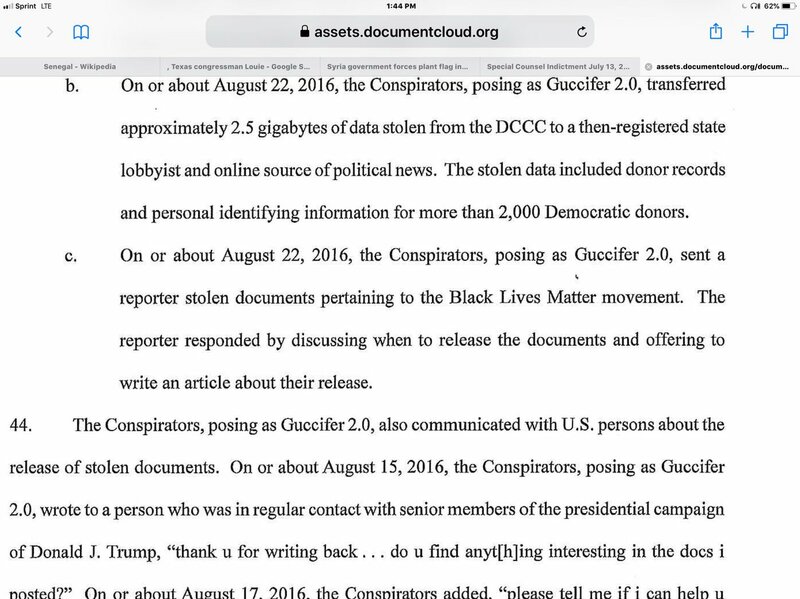 Section 43c of the indictment says, "On or about August 22, 2016, the Conspirators, posing as Guccifer 2.0, sent a reporter stolen documents pertaining to the Black Lives Matter Movement. The reporter responded by discussing when to release the documents and offering to write an article about their release." Part of the reason I was surprised is that I have never been contacted by anyone from Mueller's investigative team. That's one reason I personally know that this is a shoddy investigation, but I'll come back to that in a moment. I went public because I have nothing to hide and nothing to be ashamed of. In fact, the reason that Mueller's team knew about my contacts with Guccifer 2.0 is because I posted the direct messages we exchanged over Twitter myself a year ago. For the record, I didn't know who Guccifer 2.0 was at the time and I still don't, despite Mueller's indictment. I have never believed that Guccifer 2.0 was a Russian state actor and have seen no evidence that persuades me otherwise. At the time of this contact with Guccifer 2.0, I was the lead investigative reporter for Breitbart News; today, I co-host the best morning news radio show in America, Fault Lines with Nixon and Stranahan, which airs Monday through Friday, 7 a.m. to 10 a.m. Eastern Time on Radio Sputnik. Fault Lines is broadcast on 105.5 FM and 1390 AM in Washington, DC, and around the world on the Sputnik News website. Of course, just seeing both Russian-funded Sputnik and formerly Steve Bannon-led-Breitbart News on my resume is enough to give many in the media the flutters. Never mind that I also wrote for years at the Huffington Post or did independent journalism on issues like the Syrian war, which I traveled to Beirut in 2013 to cover. All of that and more gets left out of media narrative on Russian CollusionTM! Thus, the New York Times only mentions my work at Breitbart and Sputnik in their scarily titled article, Tracing Guccifer 2.0's Many Tentacles in the 2016 Election. And like Mueller's team, the New York Times also never bothered to get in touch with me for their story. A few hours after the Mueller indictment came out, I left for my planned trip to Helsinki to cover the Trump-Putin summit for Sputnik. A couple of days later, CNN's Jake Tapper retweeted my initial tweet about my cameo in the indictment and added the comment "Employee for Sputnik confirms that when he was at Breitbart he was in touch with who DOJ says was Russian military intelligence masquerading as hacker Guccifer 2.0." When I saw that I was being discussed in the indictment, I immediately mentioned it on Twitter. I also made it clear to the media that I was available for interviews. No media outlet has contacted me. Reading through the new indictment now. Point c is referring to a conversation that @GUCCIFER_2 and I had via DM, But this is information that I have released publicly previously. I've spoken to Jake privately a number of times in the past. He's praised my work on other stories. I'm easy to reach. Yet despite highlighting my contact with Guccifer 2.0, Tapper has also not reached out to interview me. It's almost like the media and Muller have no interest in hearing what I have to say. No, wait — it's exactly like that, because there's plenty that the indictment and the media leave out. For example, when Guccifer 2.0 contacted me on August 22, 2016, Steve Bannon was no longer leading Breitbart News. Whoever Guccifer 2.0 is, they expressed no interest at all in the fact that Bannon had left Breitbart to head the Trump campaign. Furthermore, when the indictment says I was given material on the Black Lives Matter movement, it's not exactly accurate, something Mueller would know if he'd ever talked to me. If the Muller investigation was legitimately trying to get to the truth, I'd think they would have asked me for this set of files, since it might contain useful information for a forensic investigation. I'd think they would also want to see my direct messages with Guccifer 2.0 for themselves. That might not be possible now. You see, after Mueller's indictment was released, the public Twitter account for Guccifer 2.0 was removed from Twitter. I no longer have live access to my direct messages, nor can the public see the account for themselves live on Twitter. For anyone wanting to make up his or her own mind about this facet of the Russiagate narrative, including through viewing the original information for themselves, this is an interesting development. Luckily, researcher Adam Carter has saved screen captures of the entire account as well as Guccifer 2.0's Wordpress site on his must-read sitededicated to Guccifer 2.0. People disinclined to simply take Mueller at his word on his unproven accusations will also want to read this article by Carter showing the contradictions between the information in the Mueller indictment and what is available already in public record. Anyone who looks at that record for themselves can see what the media isn't telling you — that I was far from the first journalist to talk to or interview Guccifer 2.0. It also makes clear that I did not request info from Guccifer 2.0, but was offered it. However, as I've said, I did nothing remotely wrong in talking to Guccifer 2.0, no matter who is ultimately shown to be behind the account. I was following a story and working a lead. I wanted to find out who Guccifer 2.0 really was and I still do. Robert Mueller's investigation has now muddied that trail, and hindered the efforts of truth seekers everywhere. 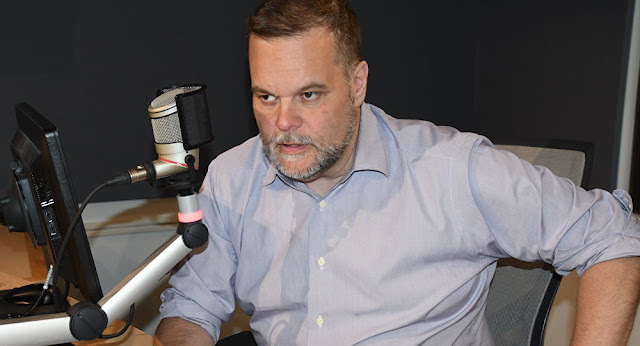 The author is Lee Stranahan, co-host of Fault Lines on Radio Sputnik.